Mendhi designs are very beautiful to look at. Delicate and intricate designs make the hands and feet, where they are often applied, look very graceful and dramatic. Traditionally used by brides in wedding ceremonies and other festivals, Mendhi is now popularly used in parties and other celebrations also. 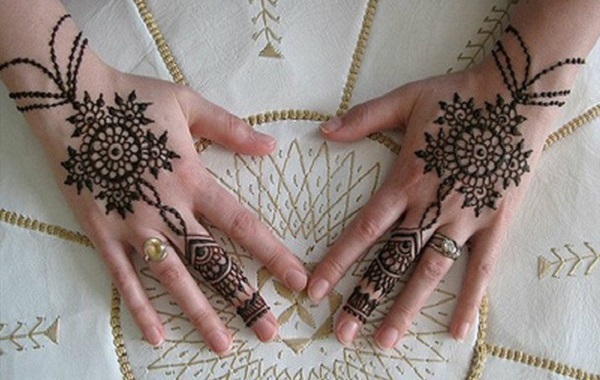 While India is well known for the use of Mendhi for several occasions, other Arab countries also use Mendhi. 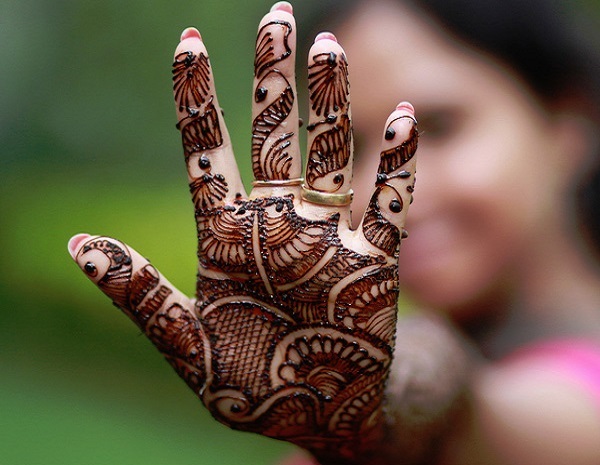 In a world that is fast becoming modern, holding on to beautiful traditions like Mendhi is very important. It reminds us of what is beautiful in this world. 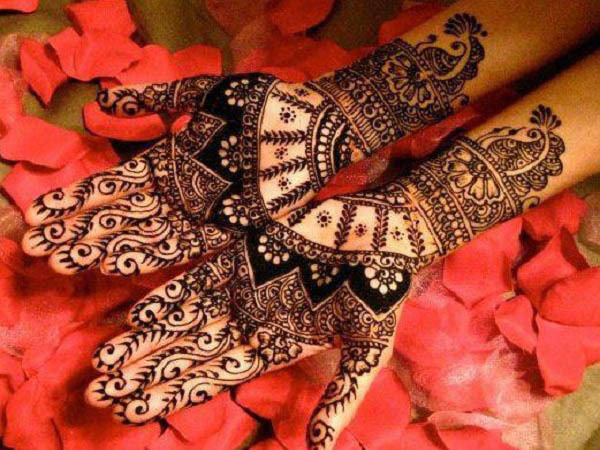 If you want to partake in this beautiful tradition, here are 40 of the most beautiful Mehndi designs you can try out. 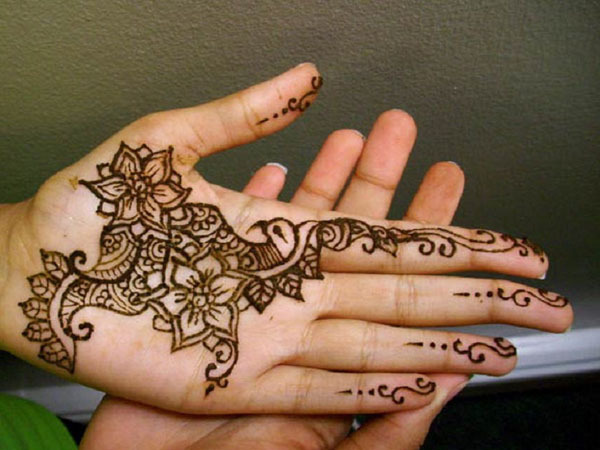 Simple Mehndi designs often include feminine details like flowers embedded in the design. Although the design may be simple in the outer layers, they usually become more intricate at the center as this would be the focal point of the design. It usually takes some amount of skill to create a beautiful Mehndi design. So if you are still trying to learn, try some easy mehndi designs first. Designs with less fine lines are usually easier to manipulate and they can still look good. 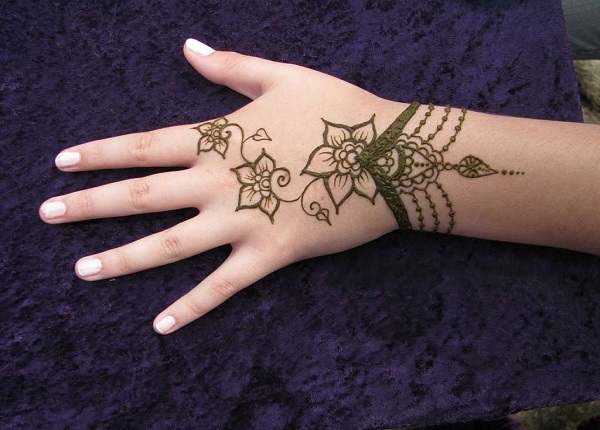 Mehndi designs for kids are usually less intricate and should celebrate their youth. Also, since they have smaller hands, the designs would have to be small enough but just as striking to look beautiful. A simple but beautiful bracelet style would look lovely on a young girl’s hand. 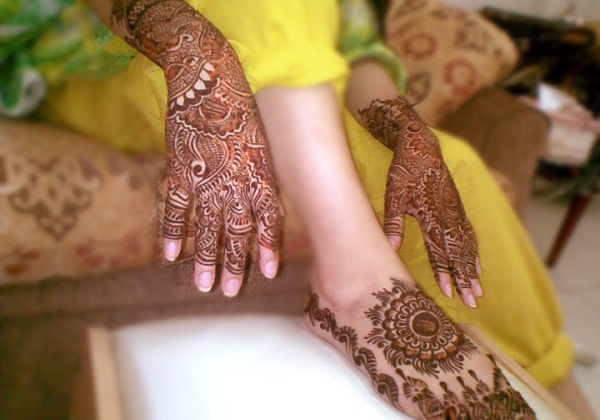 Mehndi is traditionally applied to hands and feet. 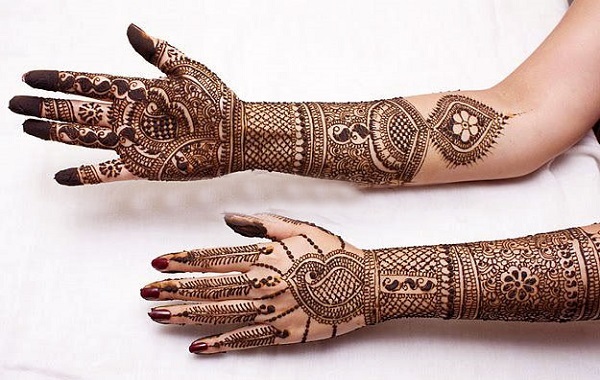 There are many mehndi designs for hands that could look very impressive like this glove design which looks both hard and soft, traditional and modern at the same time. 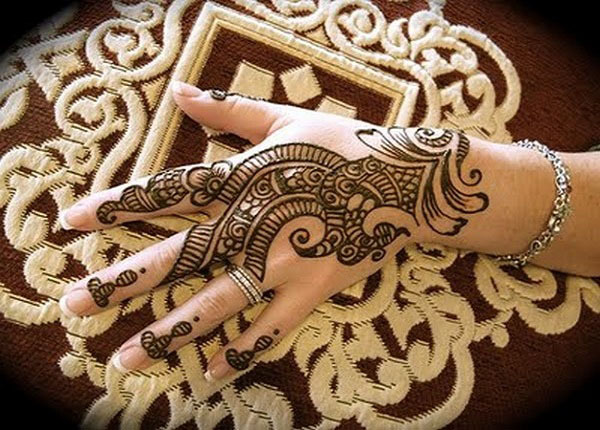 Sometimes to make it more interesting, mehndi designs for hand would include details that harmonize with your other hand like the image above. While each of the deign on your hand already commands attention, placing them side by side is even more breath taking. Indian weddings are some of the most color-rich weddings. 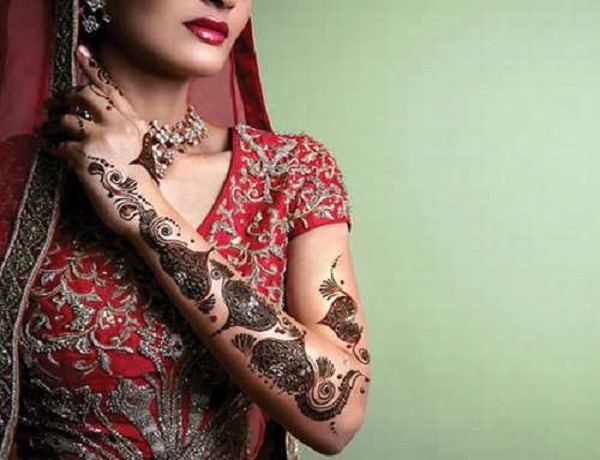 A lot of bridal mehndi designs are colorful and often matched with the bride’s dress. Pakistani mehndi designs are some of the most intricate designs that you can find. Because of the complexity of their designs, it usually takes an expert to be able to do it and takes long hours before the design is finished. 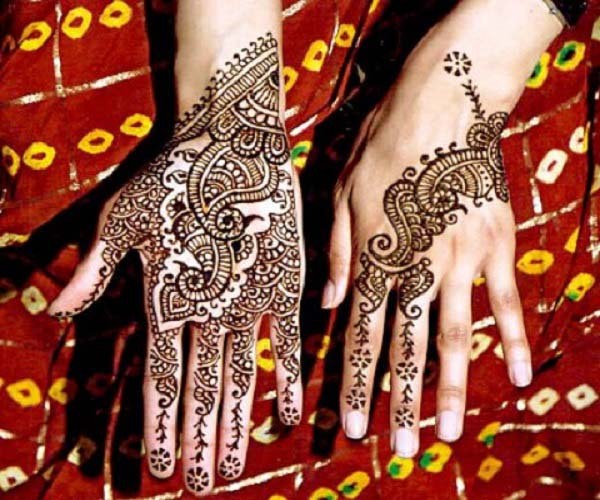 Beautiful Mehndi designs would always make women seem more graceful in their movements. In fact, even when they are in a complete standstill, they seem to be in an enchanting and graceful dance. If you are still trying to learn the art of Mehndi, it is best to stick with simple and easy to make designs at first. 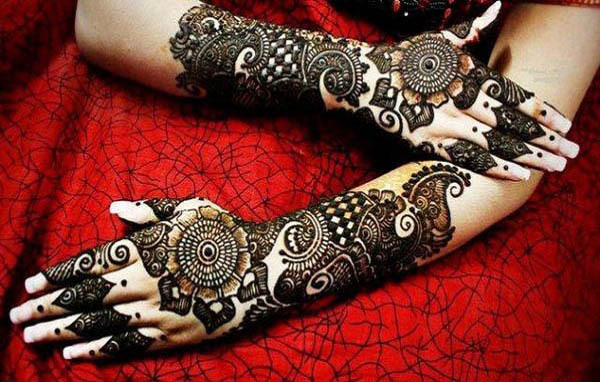 Although most mehndi designs for beginners are simple, they are already very beautiful and still create a lot of impact. 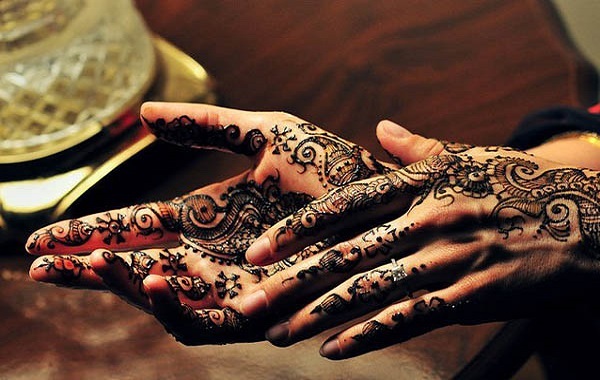 Arabic mehndi designs for hands are meant to emphasize the grace and elegance of a woman’s hands. The design above emphasized the long slim fingers by keeping the other fingers bare for contrast. Up to this day, many women still apply mehndi. 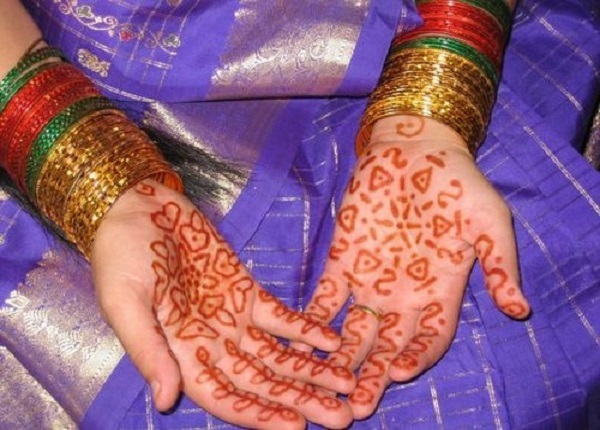 While it is a classic tradition, there are latest mehndi designs that women can choose from. 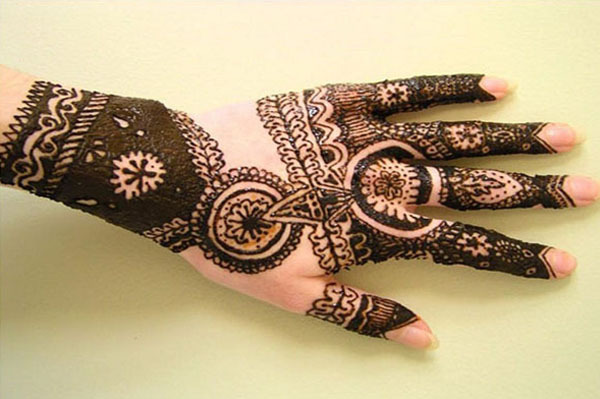 The mehndi design above uses other colors to highlight the details of the design. 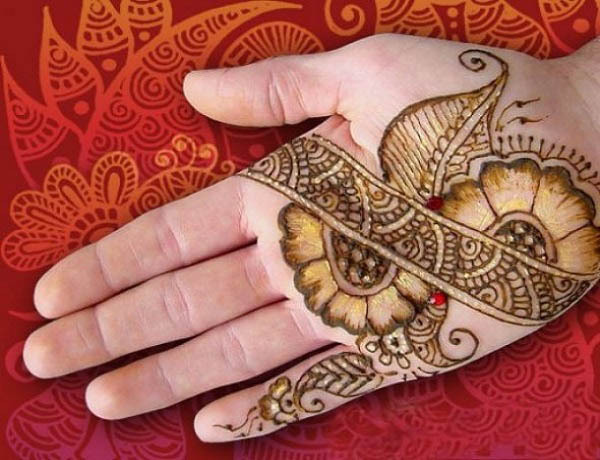 While there are many intricate and complicated designs, there are also some simple mehndi designs for hands if you like simplicity. Of course, they are still very beautiful to behold in spite of the fact that they are simpler than most designs. 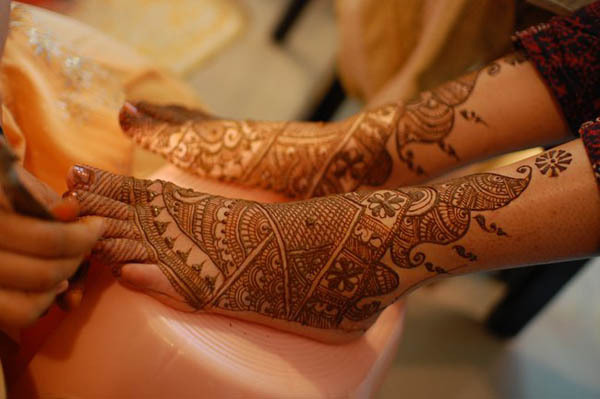 Simple mehndi designs are not just applicable to hands but to the feet as well. 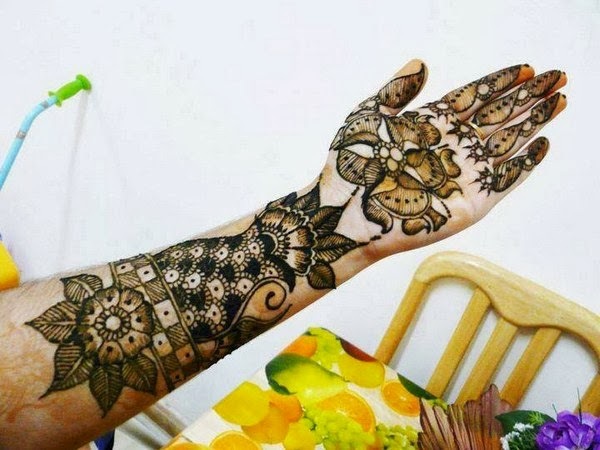 If you want your mehndi designs simple, apply the design on each finger or toe and just a certain area of the feet or hands covered with design. 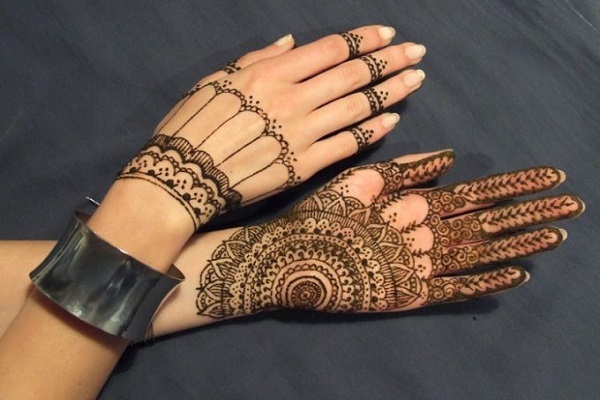 You can be hip and trendy with the new mehndi designs that mixes the old world culture with modern influences. 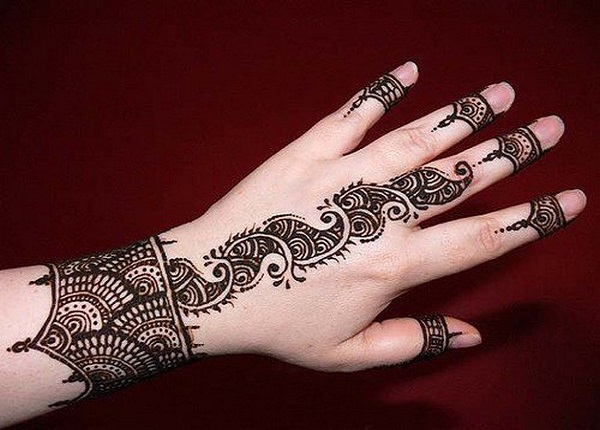 The mehndi design above looks like some gothic lace coupled with eastern culture. 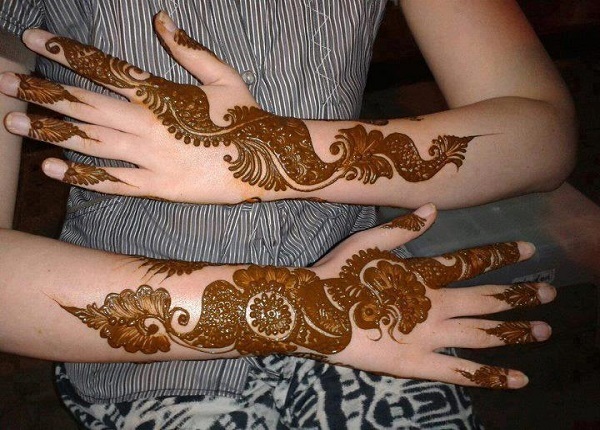 A lot of parents would like to simple mehndi designs for kids. One of the reasons is that they have smaller hands and feet so a more intricate design could look overwhelming. Simple designs can be manipulated so that it still looks very intricate and delicate at the same time like the image above. 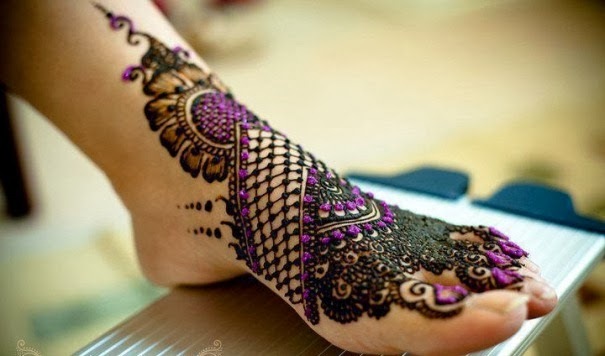 Intricate details are also important for mehndi designs for feet. They may not be as visible as the ones in your hands but they should be just as detailed as they also capture a lot of attention. If you want to use other elements like color and jewels, you may want to leave some of your skin exposed to create the contrast. In order to do this, you must choose easy menhdi designs for hands. The effect will be very dramatic without being too much. 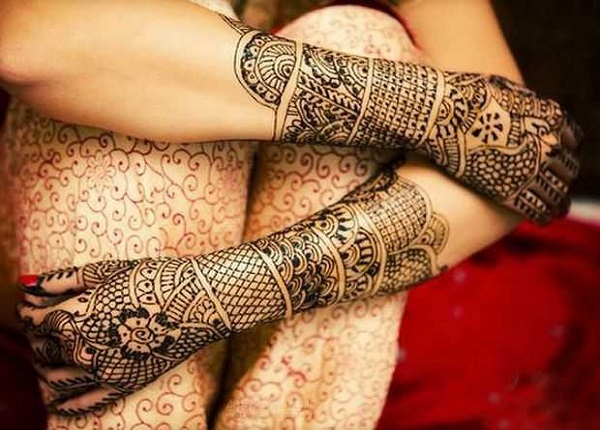 Because of the exotic and very intricate designs of mehndi, there are many tattoo enthusiasts who would choose mehndi tattoo designs like the one above. With the growing popularity of mehndi, a lot of people have incorporated such designs into tattoos and are being offered commercially. 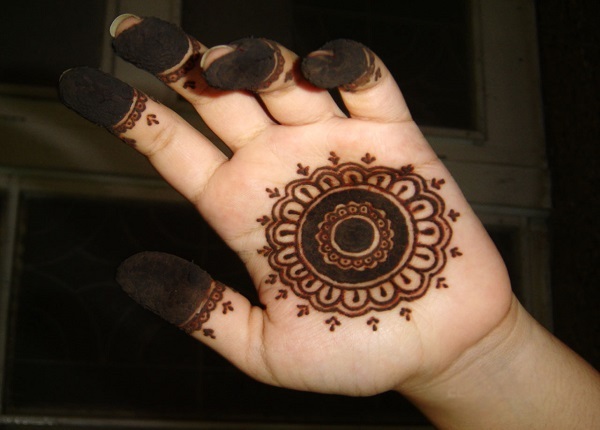 There are also a lot of simple mehndi designs for beginners for keen DIY enthusiast. The designs for beginners are usually not as intricate but can already be very challenging. With the media exposure of mehndi, many people from all over the globe are eager to learn the fine art of mehndi. 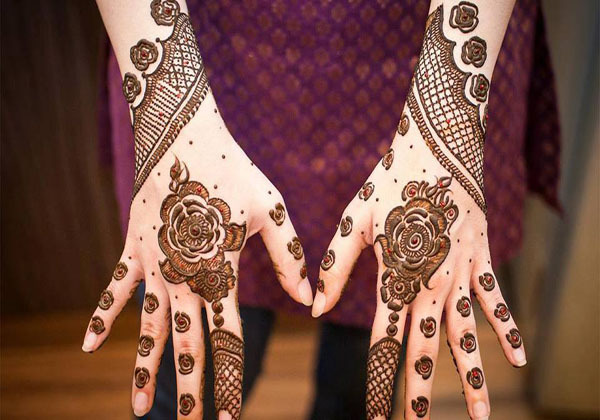 There are mehndi designs videos that teach artists how to properly make the mehndi. It usually is a slow process with keen attention to details. The above image shows only a half-finished hand design and it contrasts so vividly against the plain skin. To celebrate their youth and innocence, easy mehndi designs for kids often look the best. Simple designs and symbols that do not look too mature always work best for them. 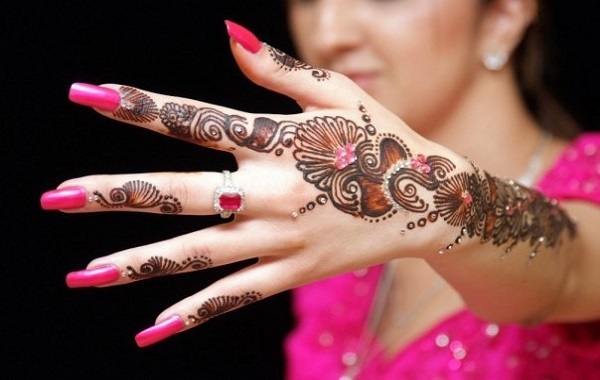 Some mehndi hand designs do not have to cover the entire skin although it may seem to. Careful placement of the design is important if you want to make simple and easy designs look elaborate. Kids mehndi designs are often fun and youthful. They are usually not as complicated as the designs for more mature women. However, they are equally intricate in design and often designed to make the hands and feet look longer. The illusion of having longer hands and fingers is achieved here through making a long pattern and keeping the other fingers bare save for a small elongated design. This mehndi design uses color to emphasize the beautiful flower patterns. While not as intricate as other mehndi henna designs, it is saved from being too plain with the colored flowers. Mehndi designs have evolved over the years to incorporate some western influences while still maintaining the eloquence of the classic styles. 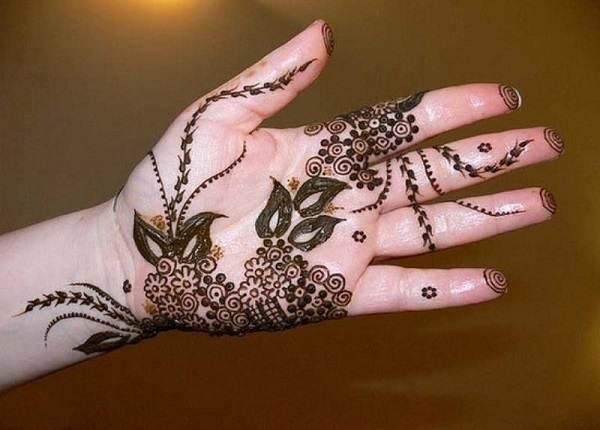 There are many mehndi designs images like the one above that would look very exotic but upon closer inspection, you can see already see the western influence in its use of the small flowers. 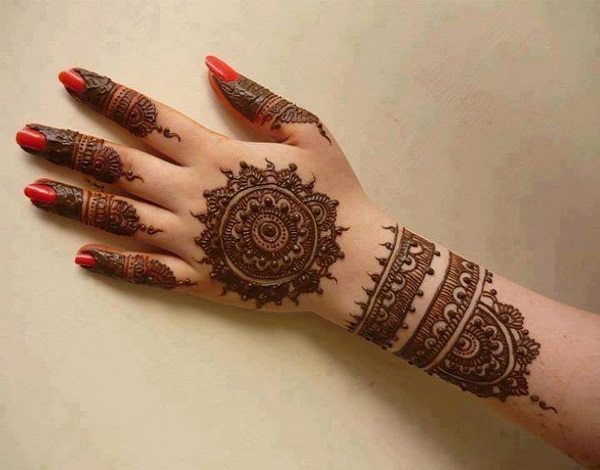 Many women have turned mehndi simple designs into permanent tattoos. They are often intricate enough to be interesting. Simple designs that only cover up a portion of the foot are what usually work well as permanent tattoos. 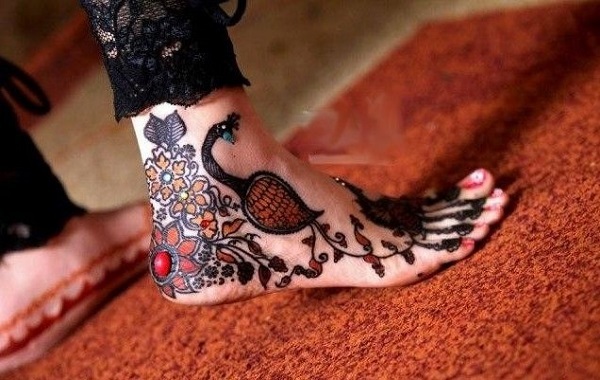 Mehndi foot designs often complement our match hand designs to make them more attractive and cohesive. Here, the cohesiveness is achieved by keeping the design in the same color palette. 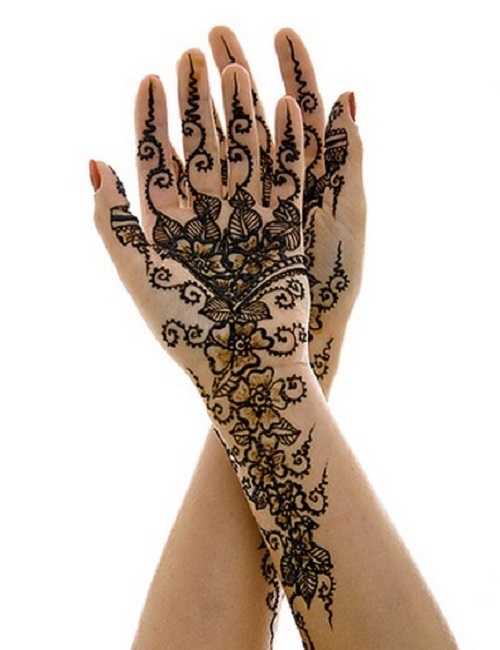 Some of the most beautiful henna mehndi designs use different shades to highlight the design. The design above looks like some abstract bird because of the placement of the color. 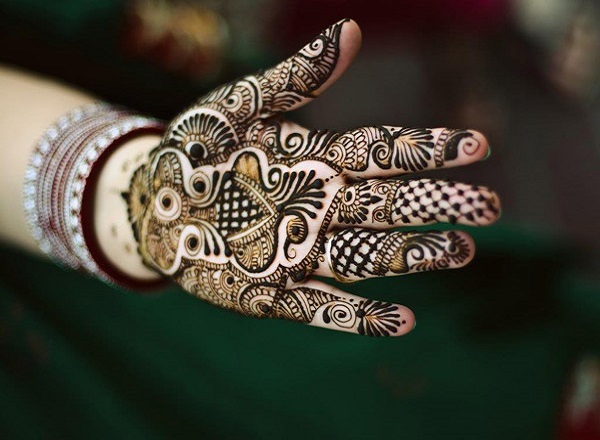 Many of the traditional mehndi Arabic designs and Indian designs have evolved over the years. There are now designs that have a touch of western influence. The mehndi design above looks like something that jumped out of a Van Gogh painting and yet it remains to be distinctly exotic. 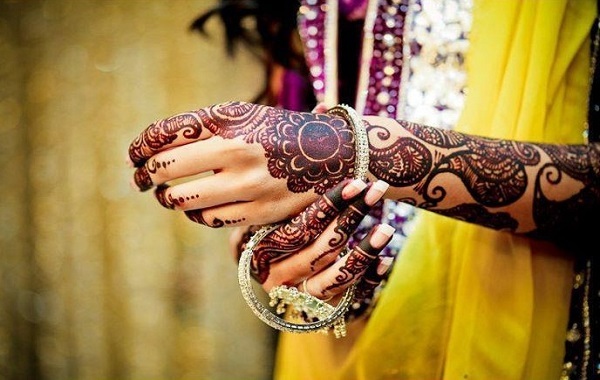 Some mehndi designs look like contemporary accessories. Because of the intricate designs, there is often no need to wear other accessories since they are already catchy enough. 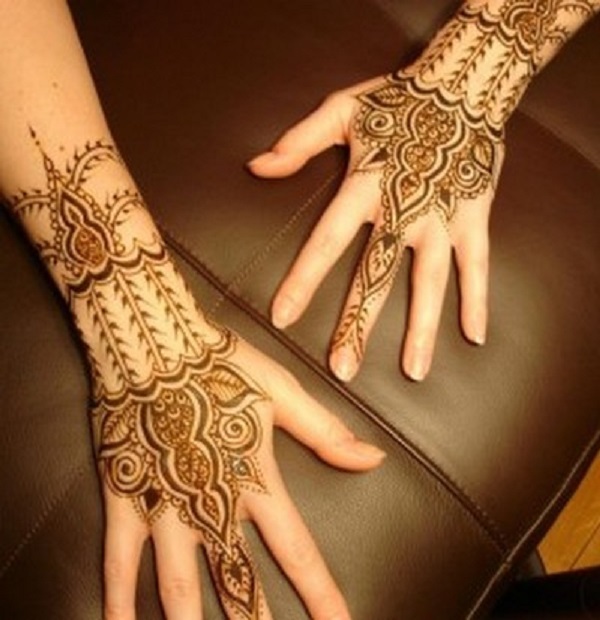 A lot of the designs of mehndi are well thought out and executed. Otherwise, the design wouldn’t look as beautiful as the one above. If one of the designs is askew, it wouldn’t look balanced. Some mehndi designs use a lot of inspirations for their designs. This one uses a bird, flowers and leaves. 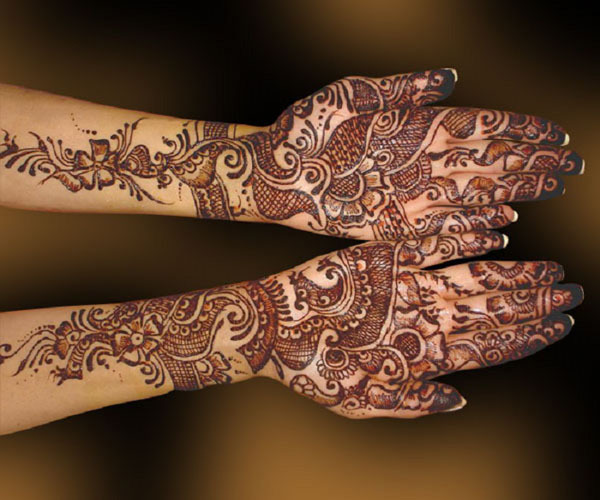 Somehow they create a beautiful harmony that makes the easy mehndi design very attractive. If you look closely at some of the most beautiful mehndi designs, you can see that there is texture in the design as well. The textures give dimension to the design and make it even more rich and interesting to look at. 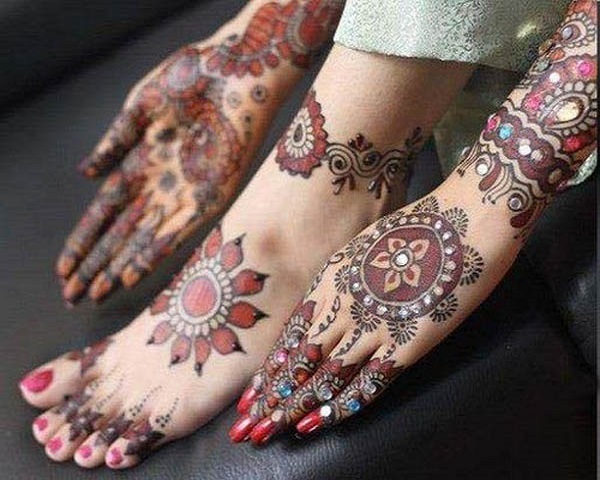 Sometimes, when the mehndi design for hands are already very elaborate, the simplicity of the designs on the legs and feet can compensate for this. Some people may want a fully elaborate design but some people like to keep it well balanced and if you happen to be one of them, using the same idea as the image above will best suit you. 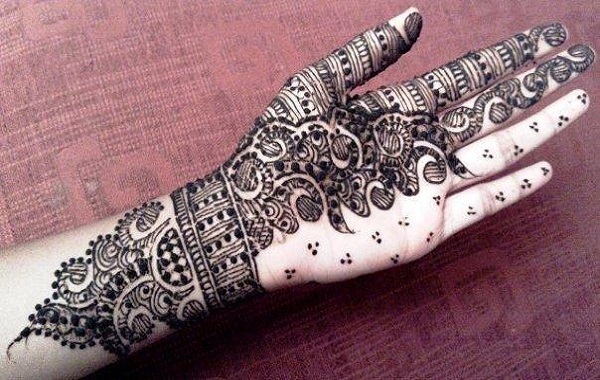 There are mehndi designs that actually look like some expensive lace gloves. While still looking very exotic, it is something that would appeal to foreigners as well because of the universal design. Mehndi designs are not without its surprises. Something that could look very simple could grace the back of your hand but when you turn it around, the reveal is amazing. The design could be very bold and intricate, totally unlike the other side of your hand. Mehndi designs are not just meant for the hands and feet alone. They can cover your entire arm and even the shoulders as well. To add emphasis on the design and avoid making it look like fabric, solid designs that are not entwined could be used. 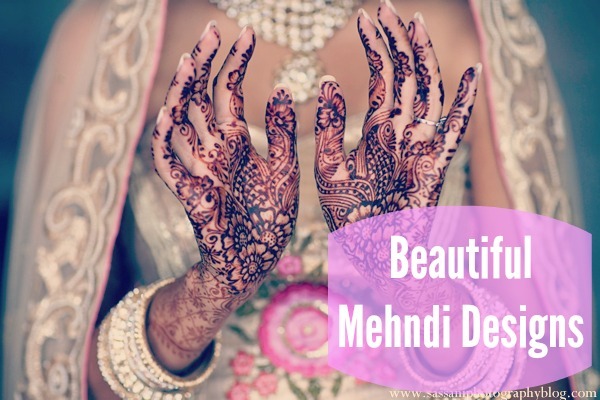 Sometimes, because of their design, mehndi may look like it is some sort of fabric as well with the way it blends into your skin. It would then be difficult to differentiate which is fabric and which is mehndi. Can you determine which is which in the image above? Mehndi can use many shades to make the design more interesting. It could either be very elaborate or simple. That would then depend on your taste and preference. 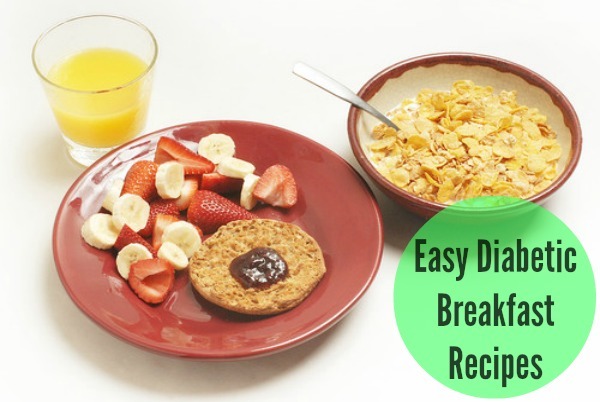 However, if you cannot quite decide which to go for, you can always use both elements. You could be really simple with the design on your feet and go all out on your hands or do it vice versa. Either way, the result is sure going to be interesting and beautiful.